Are the Winds Behind Us? After a tumultuous 2011 that saw floods and tsunamis nearly decimate our industry, 2012 has been a year of recovery, and we now can see that we are on solid ground for a prolonged recovery. That is not to say that the winds haven’t been shifting. The point-and-shoot business continues to be challenged by the ease and portability of smartphones. Many consumers have chosen to leave their cameras home rather than carry an extra device, and that trend seems to be continuing. The changing shape of DSLRs has caused us, in some ways, to compete against ourselves for future purchases. Manufacturers have recognized that picture quality, combined with portability, might be the win/win factor that consumers are looking for, and smaller, mirrorless cameras seem to have finally caught on in this market. Another aspect that continues to drive our sales is the realization that picture quality does matter. The images delivered by smartphones can only go so far in delivering the kind of quality that consumers have come to expect from digital photography. We’ve also recently seen winds of change on the wireless front. Samsung broke the barrier with easy-to-connect wireless “smart” cameras, and Nikon followed suit just last week with the industry’s first camera built on the Android platform. Most other manufacturers are rolling out wireless connectivity in their cameras, enabling users to upload directly to photo-sharing sites or e-mail directly from their cameras. This brings our industry another step closer to winning the “photo-sharing” game by combining connectivity with true image quality. And on the output side, it appears as though the breeze is finally shifting, as consumers are realizing the importance of not only capturing memories but also printing and archiving them. The range of printing solutions is increasing, not only in frequency but also in the ever-growing possibilities for printing on alternate surfaces, like galvanized steel, canvas and acrylics. The waning months of 2012 are giving way to optimism and opportunity in 2013. New technologies always spur growth in our industry, and an economy that has been sputtering over the last two years appears to have found light. Our challenge will be to continue to drive sales by showing customers news ways in which to enjoy the billions of images that are being generated throughout the photo ecosystem, and convincing them that, yes, quality does matter. However, we are challenged to overcome the “good enough” mentality. Our direction is to promote high image quality, optical zoom and low-light capabilities. The imaging industry will coexist with the smartphone market, but it’s incumbent upon manufacturers and dealers to tell that quality story and demonstrate key differences to the consumer. As an industry, we need to listen to what consumers want and work to engage them through multiple channels, whether through social media or service and support networks. These touch points are important to maintain relationships, and customers value the communication. This is one reason why Canon made a significant investment in our 100% U.S.-based service and support network. In 2012, our strongest gains were in the reinforcement of our brand and value message. We invested in our service and support network from entry level to professionals and began our Hollywood initiative, which ties back to this brand and value strategy. Customers’ expectations go beyond fixing equipment; they look for many levels of support—education, equipment compatibility with third-party accessories or workflows and efficiency in using it. A support network is a tremendous investment that fortifies brand loyalty, fosters growth and adds value. If I could make one prediction for 2013 it would be that nothing is predictable. We forecast trends and market sizes, but the things that caused the biggest industry setbacks were the unpredictable: natural disasters, economic uncertainty, political upheaval. I anticipate everyone will work to better address potential crises in the future, both financially and through supply and manufacturing alternatives. Roger W. Horn, President, Leica Camera Inc. In the world of photography, as in other industries, brands are compelled to release products at increasing rates to keep up with consumer demand for “new” and to satisfy countless blogs, online sites and media outlets looking for content to share with their audiences. The craftsmanship, design and technical elements inherent in every Leica camera have meant we, as a brand, must operate outside of the established timetable for the next big thing. But it is this single-minded focus on the product that has made the Leica name synonymous with creative, exquisite craftsmanship and optical engineering. While our heritage originates from excellence in optical engineering, the Leica Camera experience has transformed into an emotional, engaging experience between the photographer and his equipment. This May, we received an enthusiastic welcome for products introduced at Leica’s Das Wesentliche event. The Leica M Monochrom, the first digital rangefinder camera to deliver digital monochrome photography in unrivaled sharpness and dynamic range, was revealed, along with a motivating exhibition titled “Arrivals & Departures,” documenting Magnum photographer Jacob Aue Sobol’s journey along the Trans-Siberian Railway with this revolutionary tool. In the compact camera category, we unveiled the Leica X2 with the Elmarit 24mm f/2 Asph lens, a true classic and a favorite among photojournalists that has captured innumerable iconic images. Paramount to our success is Leica’s retail concept. This unique concept in the photographic industry was introduced in the Americas with our inaugural store in the nation’s capital, with future locations planned for New York’s SoHo and Miami. Creating an unparalleled buying experience for Leica enthusiasts, pro photographers and customers new to the brand, the Leica Store Washington DC is a unique lifestyle destination that incorporates a retail space, a photography gallery featuring exhibitions shot with the Leica portfolio and a studio to demonstrate the exceptional performance of the Leica S system. This Leica store is also the setting for our popular Leica Akademie workshops, which have again been expanded to spread the art of photography to a new generation. Bo Kajiwara, Vice President, Marketing, Planning and Customer Experience, Nikon Inc.
Consumer demand changes every day as new technologies shape how we capture and share imagery. In 2012, Nikon expanded upon its legacy of diverse product offerings, meeting the needs of existing and new customers who demand performance, quality and reliability—particularly in our DSLR lineup. The flagship Nikon D4 HD-SLR and D800 HD-SLR equally satisfied photographers and cinema customers, while the D3200 HD-SLR was designed for consumers with a growing interest in photography who want to share what they capture instantly. The D3200 was the first consumer-level HD-SLR to offer this wireless accessory capability. Throughout 2013, Nikon will continue to offer solutions bringing together superior image and video quality, combined with the ability to share those images and videos immediately. This will remain a primary focus for Nikon. In the last year, Nikon 1 launched with tremendous success. During the first half of 2012, our Nikon 1 J1 became the number-one selling advanced compact camera with an interchangeable-lens system. We will continue to aggressively support Nikon 1. While compact sales have decreased, it remains a strong and viable business. Nikon has maintained market leadership, offering products with great features, performance and style. Our goal is to enhance this market with new ideas and a unique approach. We continuously aim to provide alternative solutions that attract new customers to the C-DSC market. Stephanie Sherry, Director, Marketing Communications, Olympus Imaging America, Inc. This is both an exciting and challenging time for Olympus and the digital imaging industry as a whole. On one hand, social media and a variety of imaging products have made it cool to share photos again, and new game-changing, record-breaking products like our OM-D EM-5, PEN cameras and the Tough TG-1 iHS seem to launch almost every day. However, on the other hand, our category is being challenged by the convergence of other consumer electronics devices with the same functionality as a camera. For the future, Olympus is not only committed to delivering more game-changing technologies with strong product lines like OM-D, PEN and Tough, but we will once again remind consumers why they need a digital camera, while repositioning the Olympus brand to have more relevance among today’s consumers. This year has been challenging for many of us in the imaging business. The demand for basic compact cameras has been altered by the influx of new, portable imaging options. The camera business must reinvent itself through new technologies. We see a transformation to cameras with unique features such as “tough,” long zoom and mirrorless, but are these trends sustainable or will there be additional changes in the next year or two? It is time for us, as an industry, to engineer and embrace the next evolution of photography. Panasonic took the first step by engineering the first mirrorless compact camera system, which was born of a digital era and not just adapted from history. This new generation is defined by individuals who seek to reinvent their personal photography to include the dynamics of video and in-camera enhanced creativity shared in a world driven by the immediacy of social networking. A new generation of professionals no longer differentiates between still and motion pictures; they have a seamless view of photos and videos. To grow their business they are thinking outside the established paradigms of photography—techniques, equipment and distribution. Their focus is on production speed, seamless integration of still and video, fast sharing, mobility and spontaneity! This new generation is not meant as a definition of age or tradition but merely the need to make picture taking a part of a new business. As consumers adopt new shooting styles the photo-imaging industry is in the midst of a defining transformation. The convenience of smartphones has quickly defined a new landscape of features and capabilities that must be realized in the next generation of cameras. 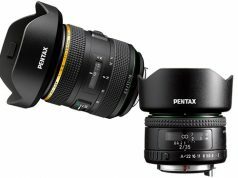 Pentax Ricoh Imaging, realizing these trends, has already introduced products that not only improve on the image quality standard but also provide unique capabilities that smartphones don’t offer. Weather sealing is one such example; the recently introduced Pentax K-30, retailing for under $1,000, easily withstands the rigors of everyday shooting, even in extreme elements—places few are willing to brave with their smartphones. Consumers continue to demand convenience and thirst for quality, creativity and self-expression. Pentax Ricoh Imaging is committed to providing capable cameras such as the Ricoh GRDIV and the Q-mount system. Both offer exceptional image quality through a sensor significantly larger than those found in smartphones in compact dimensions. The Q system, the world’s smallest interchangeable-lens system, with five interchangeable lenses, is small and light enough to travel easily on any adventure—all while providing the creative control that is expected from today’s cameras. Digital photography is fundamentally changing. As smartphone penetration passes 50% in the U.S., the ability to easily capture and share images has become a foundational consumer expectation. The imaging industry continues to strive for professional-level quality in easy-to-use models that are lighter and more portable—distinguishing them from smartphones. While longer zooms, better optics, faster processors and larger sensors are increasingly important when purchasing a dedicated imaging device, the key moving forward is enabling exceptional images anytime, anywhere, with easy access. Samsung, renowned for its aesthetically beautiful products that are also easy to use, recognizes these market changes and delivers innovative products that meet consumer demands. The Samsung NX1000, NX210 and NX20 cameras are the world’s first CSCs with “Smart” capabilities, including built-in Wi-Fi, so consumers no longer have to prioritize instant sharing over high performance. Beyond Wi-Fi connectivity, Samsung leads with unique designs like the MV900F camera’s MultiView—a 180°, rotating display that easily frames shots from multiple angles. And the compact QF20 Full HD camcorder features an intuitive touch-screen display and one-button control for record and playback, making it extremely simple to capture stunning videos. Consumers’ demands for more mobile, affordable, accessible and creative innovations are driving today’s photography market. Enabling creative ways of capturing the world around them, these new tools and devices are sparking growth in seasoned and beginner photographers alike. The mirrorless camera system trend is just one example of how companies are reaching out to new consumers, while reinventing their brands for their existing customer base. These compact cameras nicely supplement the pro shooter’s camera bag and serve as easy-to-carry alternatives to consumer DSLRs. Sigma’s new line of DN lenses and DP Merrill compact cameras are good examples of how we’re flexing and growing to meet this new market. Manufacturers must identify their industry niche and deliver on the promise that keeps their customers coming back. For instance, Sigma’s customers know they’re going to find lenses with us that other manufacturers simply don’t offer. 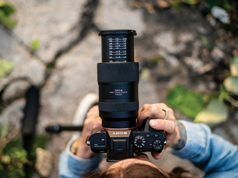 While exploring new areas of photography, we remain committed to creating one-of-a-kind products like our new award-winning APO Macro 180mm f/2.8 EX DG OS HSM lens, which is the world’s first macro to offer a 1:1 life-size magnification. Consumer interest in digital imaging is stronger than ever. With the rapidly growing popularity of smartphones, social networking and all other forms of digital communication, sharing images has become a large party of everyday life. The more pictures that are taken and shared, the more consumers are starting to differentiate and understand the value of high-quality imaging. Manufacturers stay relevant by offering this high-quality experience to photographers of all experience levels and abilities, and at Sony we’ve continued to develop technologies to “push the imaging envelope,” bringing award-winning products to market in all major categories of the business. In conventional DSLRs, our unique Translucent Mirror technology has allowed us to create cameras with much faster focusing and frame rates, and a much more useful Full HD movie-shooting experience. In the rapidly growing mirrorless ILC category, our NEX cameras pack a large APS-C sensor into small camera bodies, producing DSLR-like image quality in a more convenient, portable package. Additionally, we’ve brought several unique innovations to camcorders, including built-in projectors and best-in-class image stabilization. And we have shaken up the compact market with the introduction of the RX100 camera and its especially unique combination of small size and big performance in a fixed-lens camera. Sony is confident that our newest introductions will continue to drive growth for the category. By adding Wi-Fi sharing and camera app customization to our NEX line, we are making it easier for customers to explore their creativity, capture life’s moments and share them with their friends. Additionally, with our recent photokina product introductions, we’re redefining what can be done with a full-frame image sensor. Nothing sums up 2012 like the February 9 announcement that Eastman Kodak would exit the camera business. While Kodak’s leadership cited cost savings and the firm’s goal to become a print services-focused vendor, it has been a harbinger of continued market turbulence facing the remaining vendors. While easily dismissed by current thinking, Eastman Kodak was a constant innovator in the camera space. One of its engineers invented the first digital camera in 1975. Furthermore, Kodak was on the leading edge of a variety of camera-specific innovations: one of the first DSLRs; the EasyShare camera system that grew the entire camera market; and one of the first Wi-Fi cameras. Cameras were planned as nodes in a Kodak system that fed a burgeoning digital photo print business that would make up for lost film revenue. Yet digital photography unlocked printing from retail, where Kodak was dominant, allowing for home and web fulfillment and thus enabling a host of new competitors like HP and Shutterfly. It also enabled more robust usage of online services like eBay and Facebook, without the need to print. Kodak would have been better off pursuing a Canon or Nikon strategy of producing higher margin cameras, given its homegrown image sensor division. The imaging industry has entered the Connected Era where consumer behavior and expectations are primarily driven by smart devices and online services. Consumer spending is being diverted from traditional digital cameras and photo prints to smartphones, tablets, apps and social media. To stay relevant, traditional camera companies and photo print service providers need to align themselves with the forces of mobility, social media, apps and cloud services. The digital camera market is facing threats on many fronts. Household penetration of cameras is high, the economy is weak and consumer spending is cautious, which has led to slowing replacement rates of cameras. Perhaps the biggest threat to mainstream compact digital cameras is the smartphone. Smartphones have cameras that are good enough for many consumers and have the benefit of immediate sharing of photos and videos. Nevertheless, camera vendors have the opportunity to develop exceptional devices that offer connectivity and stem the move away from cameras to smartphones. Digital camera vendors should view themselves not just as makers of cameras but as creators of connected imaging experiences, by providing Wi-Fi connectivity as a standard feature for most cameras and enabling third-party developers to create apps. If they don’t, they risk losing the majority of photo capture to smartphones. Future industry projections come in unique groups and beliefs. • The industry’s lack-of-leadership race-to-the-bottom caused Ritz, Vann’s, Best Buy, etc. • Big-box and major web retailers are abandoning the imaging category due to weak returns. Contraction of floor space, promotions and support exacerbated forces that will continue to reduce our industry. • Vann’s preliminary press reports showed manufacturers owed “instant” rebate monies greater than 10% of Vann’s inventory. If Vann’s had been treated like a big city major retailer they could have cash on hand. • It appears market “leaders” believe specialty retailers can prosper on 5% margin and allocation of popular goods biased in favor of manufacturer websites. • Only governmental/judicial intervention will punish these activities. When the attorneys general and governmental agencies act we will be vindicated and rewarded. • They carefully promote top brands while finding ways to maintain overall profitability. They build brands that offer margin, promote high-margin products/services like Mack Diamond Warranties, ProMaster, schools, sensor cleanings, imaging services, etc. • NPD reports only Shutterfly and independents grew services market share while big box eroded. IPI’s Marketing Solutions program attributed to much of this growth for independents that used it. • Fujifilm showed extraordinary leadership with their X-series camera. It’s a unique product; consumers love it. It’s priced higher than production costs necessitate, raising income for Fujifilm and its retail partners. It left room for Fujifilm to eventually lower the price and still maintain profitability for Fujifilm and retailers. • Independents are expanding their footprint while others contract. Dodd Camera, Dan’s Camera City, Paul’s Photo, W.B. Hunt, McBain Camera, Bedford Camera, etc., have all recently expanded. Liz Cutting, Executive Director, Senior Imaging Analyst, The NPD Group, Inc. Even though 65% of American adults still own a digital camera, the reality is compact digital camera sales are declining every month, and they aren’t alone. In a world where convergence is king, devices that can, in some way, be replaced by smartphones are getting passed over. In the first half of 2012, according to NPD’s Retail Tracking Service, the traditional technology industry (excluding smartphones, tablets, e-readers) was down in revenue by 7%. But the types of devices that smartphones can replicate in a handy way were down far more. Against this bleak backdrop, however, and in the face of natural disasters, interchangeable-lens cameras grew by 13%, with mirrorless cameras fueling much of the fire. NPD’s The Next Camera Study, fielded in July, found that more than one in 10 current camera owners are very or extremely likely to buy another camera in the next 12 months—the same percentage as in 2010. Compared to two years ago, they are going to be spending significantly more. One-third reported they’d spend more than $400 on their next camera, compared to less than a quarter in 2010. While the next year will bring more technology excitement to traditional capture devices than we have seen in years, those willing to spend over $400 want more traditional areas of improvement from their current cameras: more megapixels, better photo capture speed and faster autofocus. As I write this commentary, business journals are publishing stories about how the slowdown in Asia, particularly China, and the economic crisis in Europe are affecting the sales and profits of U.S. companies. Is the photo-imaging industry similarly affected? As the economic recovery stalls, and the unemployment situation has not rebounded, uncertainty creeps into people’s thinking about travel and spending on family events. As 2012 is an election year, with the outcome unpredictable, families are being further cautious about spending money. In the photo-imaging industry, non-chain retailers are dependent upon output services to bring in profits, so a decline in travel and entertainment will have an impact. Sadly, the number of retailers is declining as the business shifts and consumers share digital images rather than prints. Still, we forecast that the number of photo/self-published books—everything from 4×6-inch prints bound with a plastic comb to a leather perfect-bound hardcover “coffee table” book—will rise by over 30% in 2012 as more competitors enter the business. Consumers remain very active in the photo market today thanks to a deep appreciation for photography and a wide selection of digital cameras that offer advanced features and outstanding image resolution. While consumers are enjoying a wide variety of advances in picture taking, there are now numerous personalized photo products that let people use and share their images in exciting, tangible ways. As consumer demand for photo products expands beyond the traditional 4×6 print, retailers are in a position to offer a wider selection of products that make their businesses even more appealing to everyday as well as advanced photographers. These products include high-quality 5×7, 8×10 and larger print sizes, as well as calendars, cards, lay-flat photo books, picture puzzles, canvas gallery wraps and numerous other products that bring personalization to consumers’ images and increased profits to retailers. The key theme today is home décor. While in the past consumers made 4×6 prints to see their images, today they are creating exciting new products to display in their homes or give as gifts. Retailers can realize significant profits in today’s photo market and are in the enviable position of being able to offer a wide selection of profitable personalized photo products with minimal capital investments. The growth in high-end photographic equipment is helping to create demand for the memorable images that consumers want to print on new products. Consumers have access to premium compact long-zoom and DSLR-style bridge cameras, as well as professional-grade interchangeable-lens digital camera systems, like the Fujifilm X-Pro1—all of which give people new ways to get creative with their images. The next 18 months hold great opportunity for the photo industry. Thanks to the immense popularity of smartphones, photo apps and social networks, people are now taking and sharing more digital photos than ever before, creating huge portfolios of images they can use for photo books, cards, calendars and keepsakes. InfoTrends expects that 154 billion photos will be taken in the U.S. with smartphones from 2011-2014, and the photo merchandise market is expected to reach $2.2 billion by 2014. To reap the rewards of this exploding content ecosystem, photo retailers and print service providers must invest in technology that provides an off-ramp for the billions of photos stored on smartphones and social networks and enables customers to turn their digital photos into high-quality photo merchandise. For example, HP Indigo photo printing solutions offer true-to-life output on demand and at low cost, allowing operators to handle growing print volumes and reach untapped new markets. And with the HP Photo Center 7, retailers can offer in-store access to photos stored on Facebook and direct connectivity for iPhone and Android smartphones, making photos from those sources available for photo and photo creative merchandise purchase. However, it’s not enough to simply offer these solutions. Too many customers today are not aware that they can easily print their digital photos at home or turn them into beautiful photo merchandise like photo books and home décor products. James Chan, Vice President, Marketing, Mitsubishi Electric Visual Solutions America, Inc. The U.S. photo market continues to evolve even though the digital format and social media are affecting a shift in the trends and direction of how photographs are distributed, shared and cherished. In the past year, we saw a significant revival of the age-old photo booth business. The photo booth is now a popular prop at weddings and most corporate events, as it characterizes our culture’s love for spontaneity at any festive or celebratory event. Instant photo booths allow us to capture priceless moments in multi-framed photo strips of family and friends, and immortalize them in just seconds. Mitsubishi dye-sub printers thrive and even excel as the photo booth printer of choice; they are perfect for these applications because they print fast, are compact and are simple—no inks or chemicals. Our most popular models were chosen by two prominent photo booth integrators because they can produce beautiful 4×6-inch prints in only 5.4 seconds! These compact models even offer a perforated strip, multi-cut 2×6 variation, which makes it easy for a photographer to readily convert them into mobile photo booth printers. We expect growing sales and rental demand for Mitsubishi dye-sub printers going forward, expanding our presence in the event and photo booth markets because of our agility and reputation with professional event and wedding photographers. Noritsu believes success in the future is tied to flexible, innovative, high-quality image solutions today. There is a direct relationship to the book Who Moved My Cheese? Its message is a simple yet important one: “What business model are you chasing?” Are you still caught up in the “film and flat print” business of yesterday? For imagers, the key to success is and always has been making decisions that return increased revenue to your business. Not offering high-margin growth products today is the equivalent of Starbucks selling only one item—a small coffee. Replacing older equipment just to continue doing what you’ve been doing is a losing proposition. Not updating and offering new services and products at all is even worse. Noritsu has designed, and is focusing development on, an expanding choice of new, higher margin growth products and services. Noritsu solutions offer more flexibility, high quality and more differentiation than any other photo printer. Offerings produce hard- and softcover photo books and high-quality flat and folded cards via a widening selection of paper surfaces and thicknesses, resulting in an expanding selection of double-sided products. When combined with our innovative AccuSmart software and smartphone apps, Noritsu’s continuous R&D efforts within the imaging category are creating progressively better solutions to allow our customers more opportunities for greater profits. Michael Deng, Founder and CEO, ArcSoft, Inc.
Smartphones: By taking advantage of the memory and a powerful SoC processor, a mobile phone can take over 10 frames per second in burst mode. This provides additional flexibility in using many other advanced algorithms to improve the quality of photos taken with a smaller sensor and lower quality lens. With two dominant OSs, many different phone brands and the importance of pictures to users, a key product differentiator will be the camera and related imaging applications. Digital Cameras: Facing competition from mobile phones, traditional DSC makers will focus on new compact cameras with larger sensors, such as Micro 4/3 or APS-C-size mirrorless cameras. Combined with their high-quality and powerful zoom lenses, image quality will continue to appeal to higher end consumers who won’t accept the compromises of phone cameras. Expect image-processing algorithms and communications features like Wi-Fi to make the jump to DSCs and tie them into photo sharing and social networking. Gary Fong, CEO, Gary Fong Inc.
Merchandisers and retailers are feeling the impact of the price war driven by e-commerce. As technology advances, more e-tailers utilize software to keep up with the quickly changing pricing landscape; spiders routinely search the web for the lowest prices and update an e-store’s website to reflect that price in the blink of an eye. At times we could see the online prices of our items go down in real-time! Advancements and widespread adoption of such technologies is causing a shift in some markets and destroying retailers who cannot compete; albeit many retailers are maintaining healthy businesses without becoming price leaders. Is it true that only the strongest survive? In our experience, only the smartest survive. We aren’t simply talking about smart business owners but about smart customers. Business owners who value educating customers are finding their return on mindshare and customer loyalty is the secret ingredient of success. Our tutorial videos on YouTube (youtube.com/user/GaryFongDemos), Vimeo (vimeo.com/gfiresellers) and our website (learn.garyfongestore.com/blog/) have positively impacted sales while increasing our social media following on Facebook (facebook.com/GaryFongInc), Twitter (@GaryFongInc), Pinterest (pinterest.com/garyfong/) and Instagram (garyfongflashes). When we post a lighting video, whether it be of a novice technique or a unique technique, sales for the related product go up virally within our e-store, where products are listed at MAP prices, oftentimes above the lowest price on the Internet. Consumers are appreciative of the lessons and the personalization our customer support team offers. I write an e-mail to those who purchase from our e-store to thank them and gain feedback on topics they would like me to cover. It’s a win-win for GFI and consumers! Brick-and-mortar retailers have a choice: throw up their hands or capitalize on the value they offer beyond price. Consumers want to see that the results they aim to achieve are attainable, whether via online tutorials or demos in-store. We must solicit buyers where they price-shop (online) but offer them a buying and support experience that outweighs price savings they may find elsewhere. The flash memory card industry continues to evolve with photo equipment. Increasing capacities and speeds combined with falling prices allow photographers of every level to shoot and store more photos. Whether it’s a mobile phone, point and shoot or SLR, there is a storage solution for everyone who picks up a camera. And it’s more affordable than ever. Kingston has seen tremendous growth in its microSD product category as mobile phones have emerged as the “go-to” choice for the point-and-shoot crowd. A casual photographer/consumer will just “point and shoot” with a mobile phone out of convenience, and many smartphones come with high-resolution cameras. The trend for customers buying faster cards with higher capacities also applies to the SD family. The price of Class 10 SDHC cards with 16GB or 32GB of memory has fallen, and it’s becoming standard as more and more people shoot longer video clips and higher resolution photographs. The next growth area will be Ultra High Speed or SDHC and SDXC UHS-I cards, which optimize extremely fast data transfer rates with high capacities. Beyond point and shoot, the digital SLR market remains strong. The advent of dual CF and SDHC/SDXC card slots has allowed professional photographers and photo enthusiasts to have more speed and storage when shooting in burst or RAW modes. After capture, the need to share and transfer images and videos from device to PC quickly has evolved with USB 3.0. Card readers can take advantage of the quicker transfer rates as USB 3.0 becomes standard. With new technology entering the photography market regularly, professional photographers must continuously evaluate which products are essential to elevating their photography skills. Whether it’s a high-speed memory card, editing software or the hottest lens, photographers are always looking for the best ways to enhance their portfolios and speed up their workflow. This is where resellers can become invaluable resources to photographers. Accessories have to be compatible and offer the best possible experience with all camera models, which are becoming more diverse by the day. Some accessories companies in the market are only concerned about making sure their products meet basic specifications, but that baseline isn’t good enough. The most valuable brands are those that put forth the extra effort to create a complete solution, such as pairing fast memory cards with fast readers. Additionally, brands want to ensure products integrate with a wide range of camera models, as well as many of the popular computer platforms, to provide a seamless experience for photographers. Understanding which accessory brands actually take this extra step will empower resellers to make strong recommendations to customers so they maximize their workflow and have a positive experience. This not only benefits the customer but also creates a bond between the customer and reseller, fostering brand loyalty and ensuring repeat purchases over the long term. Bill Drysdale, Managing Director, Manfrotto Distribution Inc.
Today’s photographers range from the cameraphone user all the way up to the most advanced digital SLR professional. By understanding industry trends, Manfrotto is addressing this with an ever-expanding range of accessory products designed for the social recorder to the advanced professional. As we have seen the demand for point-and-shoot cameras decrease and compact system cameras and digital SLRs increase, our offering in the Manfrotto Stile and Kata bag collections have been expanded to accommodate these best-selling products. We’ve also addressed this trend with the introduction of the 290 series in carbon fiber, delivering a high-quality carbon fiber tripod at a reasonable price. Additionally, Manfrotto introduced the very versatile Sympla Video Rig system that addresses the ever-expanding use of HD-SLRs for video production. It is important in today’s environment that manufacturers and retailers continuously exchange information about changing trends so offerings and assortments can match the consumer’s specific needs, leading to increased sales and customer satisfaction. In addition to recognizing trends and creating great products, we also recognize the need for the most advanced infrastructure, such as our recent move and expansion of our logistics and distribution center. This allows us to operate using the most advanced warehouse management systems for today’s supply chain requirements. Last year we saw the literal convergence of digital imaging and the consumer electronics industry with PMA colocating at CES, and for 2013 that convergence will be even closer with PMA next door in the old Las Vegas Hilton site. The wide range of imaging products and accessories that will be shown underscores the progress and profit potential for all of us. With camera manufacturers offering ever-increasing performance, features and value in their latest digital SLRs, this robust market sector is still expanding. At the same time, mirrorless compact system cameras are surging ahead. Tying both trends together are interchangeable lenses. The increasing number of knowledgeable customers is good news for lens makers, photo specialty retailers and accessory manufacturers, especially Tiffen, as consumers are looking to have the best user experience and highest quality, most creative images possible. Another notable market trend is the explosion in HD video, with cameras at every price point providing Full HD 1080p video capability. Legions of serious shooters and pros are using DSLRs and point-and-shoot cameras as well as smartphones to capture broadcast-quality movies. This has resulted in increasing sales of middle- and high-end tripods with fluid heads, and stabilizing systems such as the Steadicam, which allow users to capture smooth professional video with everything from pro camcorders and DSLR rigs to iPhones. For video as well as still shooting, there are optical filters that provide in-camera soft-focus effects, eliminate IR pollution, adjust colors and, of course, protect expensive lenses. Look for camera bags to be resized and reconfigured to accommodate larger DSLRs with their built-in battery packs, battery chargers, flashes, lenses and memory cards, and new bag lines tailored to the smaller mirrorless cameras with their more compact lenses and accessories. Also, consumers want intuitive, easy-to-use creative effects software, like Tiffen Dfx, for their videos and stills. The digital imaging industry has great inventive technology. In the face of challenges from smartphone cameras, market saturation and reduced price points, the industry is reinventing itself by innovating. To reach consumers, imaging companies must think beyond selling technology and focus on human sentiment. For example, cameraphones offer convenience, but they don’t work well capturing children in a soccer game or a play. Few things capture human emotion like images. This past year we have seen mirrorless interchangeable-lens and light-field lens cameras that have game-changing potential. Features like higher megapixels, facial detection and increased zoom capacity bring product appeal. On the business side, imaging companies should evaluate opportunities within new markets such as medicine. A growing problem in America is the rising cost of healthcare. The digital imaging industry has the technology to be a part of the solution. We’re just beginning to tap the potential of imaging in e-health. The combination of wireless and imaging technologies will change the healthcare landscape so that one day patients won’t always need to visit a doctor physically for diagnosis. Let’s learn from others. Many industries have successfully moved beyond difficult times by refusing to accept the status quo and innovating, even if that meant cannibalizing their own business models. They emerged as survivors. I’m not recommending all digital imaging companies uproot their business practices; however, survival requires innovation, and innovation requires being flexible and challenging the status quo. The 14th Annual IPC Award Luncheon was held May 17, 2012 at the UN to recognize the achievement of professional photographers with the IPC Leadership Awards from eight major professional organizations: American Photographic Artists; American Society of Media Photographers; Federation of European Photographers; National Press Photographers Association; Professional School Photographers Association; White House News Photographers; and Wedding & Portrait Photographers International. And for the first time, editors in chief from Japan and Pakistan received the IPC Distinguished Service Award: Machiko Ouchi of Pen News Weekly from Japan, and Muzamil Izhar Siddiqui of Foto Line from Pakistan. This year, IPC will hold the first United Nations Photo Exhibit, titled “Seven Decades of Photography,” at photokina in Cologne, Germany, September 18-23, 2012. Looking into the future of the imaging industry, the horizon remains cloudy with the coming U.S. presidential election, a $1 trillion student loan time bomb, the depressed housing market, stagnant employment, a fiscal cliff at the year’s end and the European debt crisis. The overall digital camera volume year-to-date is down 32%, as revenue is off more than 10%. Only the volume of mirrorless and DSLR cameras is up about 17% while revenue gains 9%. Smartphones are having a negative impact on point-and-shoot camera sales, with the exception of superzoom cameras with 10x plus zoom lenses. With our members around the world following a trend line of innovation in their businesses and thereby remaining relevant to their customers, consumer or business, overall results are good. Sales are somewhat mixed, averaging more toward soft, but profitability is being realized. A strong marketing effort on a routine and periodic basis is essential for all service specialty retailers, and our exclusive IPI Marketing Solutions program is certainly driving sales for many. Our continuous efforts in updating, broadening and enhancing that program for the widest range of service specialty retailers will ensure our members’ relevancy to their customers, consumer or business. The future is much brighter now than it has been for years. Consumers take vastly more pictures, on more devices, than ever. This enormous rate of capture, coupled with the proliferation of image sharing, means consumers will frequently get that “perfect shot”—the one worthy of creating something beautiful to keep or give as a gift. This translates to enormous potential for imaging retailers. For manufacturers, new technologies like mirrorless cameras are creating endless enthusiasm among advanced amateurs, who have become the sweet spot in the camera market. PMA’s new Rise of the Amateur report reveals 17.3% of photo enthusiasts plan to purchase a mirrorless camera in the next year. Almost 80% of enthusiasts take pictures at least weekly, and 71% purchased two or more photo books in the previous year. The planets are in alignment for the photo industry. Advances in digital technology are converging with consumers’ digital skills, and with the growing buying power of the Millennials—the largest U.S. consumer demographic ever, a population that is well educated, innovative and adept at technology. The Millennials (currently ages 15–32) include 76+ million people, eclipsing the size of their Boomer parents who drove economic growth during the 1980s and 1990s. During the next five years, this group will create a net 10 million households and experience life-stage celebrations that trigger picture-taking and picture-making purchases: graduations, weddings, new homes, births. We already see the impact of this convergence in the market. There has been a five-fold increase in the number of images captured since 1990, when film capture was the norm. Our industry is seeing new revenue in the increasing demand for higher quality cameras and personalized photo products. The explosive growth of photo canvas is one example. An exciting indicator of positive momentum is the emergence of young females (13-24) as print buyers. This group now accounts for 20% of print volume—a happy surprise from a population that grew up e-sharing. Interestingly, young females represent 35% of mobile print ordering. New photo products are finding a receptive market. In the world of capture, consumers are purchasing both advanced cameras for higher quality images and ever-improving cameraphones for spontaneous picture taking. Mobile photo apps have opened a new world of artistry and output. New “middleware” products are bringing solutions to emerging consumer issues of image file organization and access. Imaginative personalized photo products and new substrates such as pearl papers, canvas, metal, wood and acrylic are finding market success. Note: Sources for this article include research data from Iconoculture, InfoTrends and the NPD Consumer Tracker, 2012. Electronic and photo retailers face a major battle to remain profitable. Mega, medium and small retailers suffer from margins shrinking below what is required to maintain a sustainable, successful business. Part of the challenge is the shifting mix of consumer interest. Photo specialty stores have been more successful than entertainment retailers, as key suppliers introduced a succession of advanced cameras with interchangeable lenses. This category has clearly provided sales benefits in 2012 and continuing promise for 2013. Suppliers continue to reduce margin and support dollars. Combine this challenge with uncertainty on the part of consumers for a deadly mix of slowing sales and margin dollars. One only needs to look at reports on Best Buy, Ritz Camera, Vann’s and others to see the results. Suppliers have aggravated the retailers’ challenges. Supplier inventory levels of cameras and accessories are at an all-time low. Companies want to have their warehouses empty sometime each month. This is especially frustrating for retailers when high-margin (for makers and retailers) items don’t ship promptly. A lens hood with a manufacturing cost under $3 and wholesaling for over $20 should never be out of stock. Plus, suppliers have cut credit extension to about one week. The combination of low margins, low product availability and limited financing options has caused challenges throughout the channel. Sales tax avoidance by consumers will eventually come to an end. But this evil opportunity will challenge legitimate retailers for several more years before legislative fixes finally take effect. How do retailers succeed in this challenging time? They look to one another through participation in groups like PRO, Camera House, Foto Source, IPI and Ringfoto. At PRO events, members learn ways to improve the sales and performance of their company. Success in 2013 will require a combination of moves by retailers. Retailers will support vendors who support an orderly marketplace for their merchandise. Retailers will feature brands that provide profit margins that support the operation of storefront retailing. Successful retailers will feature quality products that offer good margins and excellent consumer value. Ah, the economy . . . Just when you think it’s on an upward trend, it gets slapped down by the Euro debacle, slowing growth in China, the Midwest drought or Mideastern turmoil. While macroeconomic factors seem to seesaw daily, imaging industry changes demand smart decisions and nimble execution. With the growth of digital SLRs, the ability of all digital cameras to shoot video, and smartphone cameras replacing point and shoots, the product mix has changed. The principle, however, remains the same: use accessories to differentiate your store and make a profit. Accentuate what differentiates your store from the big boxes and online giants—your expertise, knowledge and personal service. Teach your customers why they need a tripod for their long lenses and to shoot videos, how a filter protects their lenses, and how a polarizer eliminates reflections and glare as well as darkens the sky. Argraph’s founding mission is to offer our dealers high-profit accessories to help you prosper. This year we added some hot, new products to the mix. Sirui tripods—small and light enough to carry everywhere yet tall and strong enough to do the job—have taken off like a rocket in the U.S. since we introduced them a year ago. Sirui offers photographers an unmatched combination of quality, innovative design and value. Marumi has added filters to their Digital High Grade line: Variable Neutral Density, Super DHG, UV L390, and 40mm and 40.5mm sizes for the new compact cameras. While we continue to supply Pana-Vue slide viewers for people who want to go through their slide collections, our newest Pana-Vue Pana-Scan scanners provide high resolution up to 14 megapixels and make scanning, sharing and archiving memories easy and economical. Every camera you sell should go with extra memory cards, a card reader and spare batteries. Color-calibration tools such as Qp cards help serious photographers get better images, while Mirror, Mirror on the Camera and the Bottle-Top Pod are fun for all. Photo retailers must leverage innovative products, whatever the newest and brightest models may be, and try to stake a claim with consumers by literally putting this technology in their hands. D&H makes an effort to partner with any vendor that is representing a unique or emerging technology, because that window of novelty becomes the differentiator for the retailer. The “check it out” factor on new merchandise is what’s going to drive customers into the stores. For example, numerous manufacturers are offering lenses for the iPhone’s camera, including fisheye, macro and wide-angle options. Compact system cameras now accommodate the use of compact, interchangeable lenses offering superior image quality. This category is still gaining momentum as consumers realize they can achieve near-professional results with a format that hardly differs in weight or dimension from your basic point and shoot. Such developments will help bring the “wow” factor to the showroom floor this year. As purchasing trends shift toward the DSLR, it opens up a terrific opportunity for add-on sales and accessory bundling. As a distributor, we want to make our retailers aware of these opportunities, so our customers can ramp up dollars on each sale—while the consumer gets supplemental value on their original technology purchases. As a distributor who offers a very wide range of products, OmegaBrandess is fortunate to do business with both large and small photo retailers. Therefore, we are able to gain a unique perspective into what makes these dealers tick. In some ways, it is a story of the haves and have-nots. The larger dealers have the ability to order and receive their allotment of a limited inventory of cameras. The smaller dealers are often left to get what they can, which sometimes means they will not have the hottest selling model of the moment due to tight supplies. This is where the smart buyer at Joe’s Camera on Main Street must come up with a solution that will allow their store to meet or exceed their revenue targets when they may not always have the headliner products. Here at OmegaBrandess, we strive to find and offer product lines that these shop owners and buyers can build their business around, therefore making up the shortfalls they would otherwise have to accept. A perfect example of one such full line of products is Phottix. Offering a wide range of accessories from $12 remotes to $650 HD displays, Phottix has established a brand that is becoming well known in photography circles for their innovation and quality. Value priced with features only found in much costlier brands, combined with higher profits, Phottix makes our dealers and their customers happy. 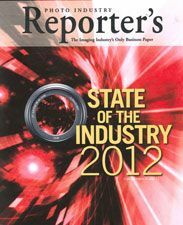 While 2012 was a “bounce back” year for the industry, it was not without turbulence. That being said, innovation has driven and will continue to drive growth. This innovation is centered on the fact that the American consumer thrives on instant gratification. Photo consumers are no different. As more and more images are captured on more and more devices, technology that enables users to immediately upload and share both stills and video is a key driver. This innovation is not, however, confined to the digital realm. Analog imaging is making a resurgence in instant-print photographic films. The Impossible Project produces a variety of color and monochrome instant films that continue to gain popularity with both fine art and recreational shooters.